Volumes I through XIV are the teachings of Pir-O-Murshid Hazrat Inayat Khan as transcribed by his students from his lectures and talks given between 1914 and 1926. These are the books which have been most widely circulated. The book called "Sayings" is largely derived from Inayat Khan's own personal notebooks. The portion of the book called "Biography" was written following interviews with Inayat Khan, while the "Autobiography" portion was written by Inayat Khan himself. The following papers have not been published in book form, but some have previously been privately circulated, from teacher to student. In general, these papers express the same message given in the more widely available books listed above, and may help to clarify certain ideas by expressing the topics in somewhat different words. Origins and meaning of "The Bowl of Saki"
"mind is the surface of the heart"
The original volumes of The Sufi Message of Inayat Khan (the "orange books") are out of print and are now very hard to find. However, there are paperback versions of the original set of "Sufi Message" volumes readily available from India (see the following Amazon, IndiaClub and Motilal Banarsidass links). http://www.centrum-universel.com/HIKDowne.htm ... some wonderful Inayat Khan resources are available, including a complete PDF file containing all of the Message Volumes. The Sayings (Gayan, Vadan, Nirtan), Biography and gif movie shown above are all courtesy of Kaivan at centrum-universel. http://www.petama.ch/pagese/E-index.html ... many excellent Inayat Khan resources, created by Puran in Dutch, German and English. http://www.chishti.ru ... a web site about the Chishti heritage, including a history of the Chishti order, along with stories, quotes, poetry and photographs. Without the name of Rama no comfort can come. Without a guru, no wisdom can be attained. Whoever pays full attention to the guru, is always blessed with the darshan of God, Who draws all unto Himself. That one who opens the door of his heart, he is the one who attains the darshan of Rama. Never leave the repetition of Rama's name. Without mentioning the name, remembrance is not kept up. The need for remembrance lies upon everybody; therefore, hold on to this attention every day. 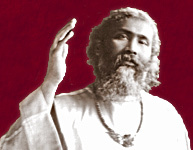 In 1909, Hazrat Inayat Khan made a series of musical recordings in India. In 1994, a CD version of the recordings was produced by EMI. (EMI CD NF 1 50129/30 Inayat Khan, The Complete Recordings of 1909).